Much to our surprise, demons took second place right behind ghosts! Cryptids came in unexpectedly last and Nessie was inconsolable. 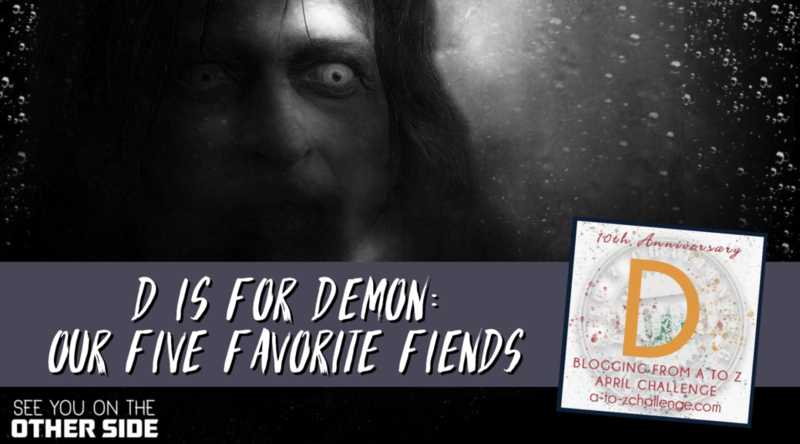 So you demon-lovers, here are our five favorite demons and the episodes that we tackled them in! The demon Valek comes straight out of the medieval spellbook, The Lesser Key of Solomon. Magicians would try to invoke his name to perform magic. They said they could do this and remain Christian because legend says that King Solomon used the name of God to force seventy-two demons help him build the First Temple in Jerusalem. Valek was known as the President of Hell and his magickal specialty was commanding household spirits as well as controlling serpents. 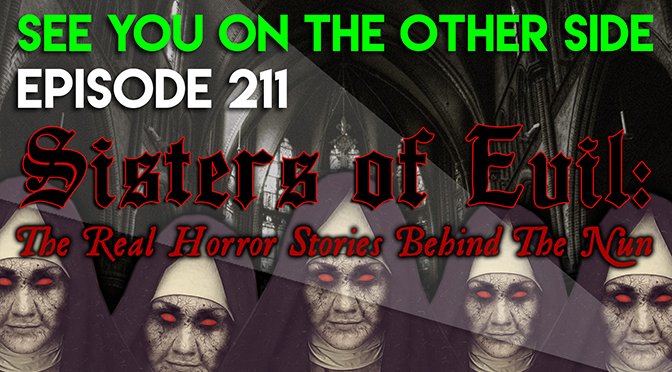 Hollywod used him the inspiration for the demon that’s haunting the Warrens in The Conjuring 2 and the follow-up, The Nun. John Carpenter also used him as the original vampire in his James Woods-cracks-jokes-and-stakes-bloodusuckers flick, Vampires. But in the original description, this wicked creature is not an Evil Nun or a rockstar-looking vamp, he’s a winged baby flying a dragon. Might not be as badass, but still pretty cool. In Genesis, there are two competing versions of the creation of humanity. One has man and woman being created at the same time, the other has Eve being created later out of Adam’s rib. In order to reconcile the versions, medieval Rabbis decided that Adam had to have a first wife, and they called her Lillith, which was based on the Babylonian word for demon. When she wouldn’t submit to Adam by laying under him when it came time to do the nasty, she was kicked out of the Garden of Eden and decided to mate with a demon, Azael instead. in mythology, she’s been blamed for everything from wet dreams (the original succubus) to Sudden Infant Death Syndrome. She’s a seducer and baby-killer that visits in the night. 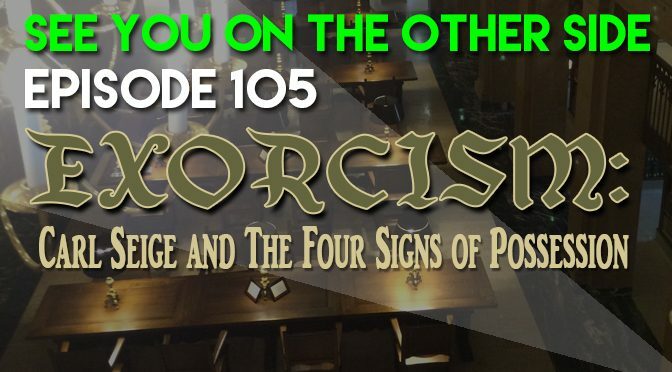 When my sister Allison Jornlin was doing research on the famous Wisconsin exorcist, Theosophus Riesinger, she ran into a case of demonic possession in the Dairy State. Carl Seige was a German immigrant who moved with his family to Watertown, Wisconsin in the 1840s. 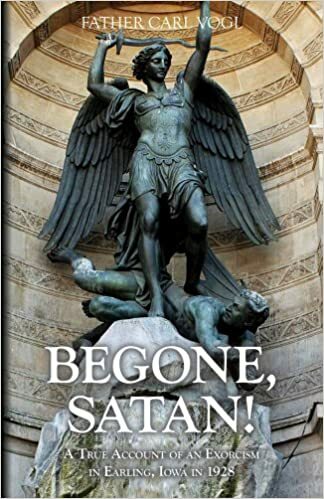 He had been experiencing violent seizures since he was a boy and his family left the Old World so that they could escape what he claimed were the demons demons inside of him. He exhibited at least three signs of possession. He correctly predicted when priests were coming to visit him, even though no one told him they were coming, they asked him questions in Latin that he correctly answered in German, and he reacted violently when they would show him a crucifix. One day, during one of his worst seizures, he said he was possessed by William Bührer, who was a murderer in their German town before Carl was born. But he also said there were many other devils there as well. 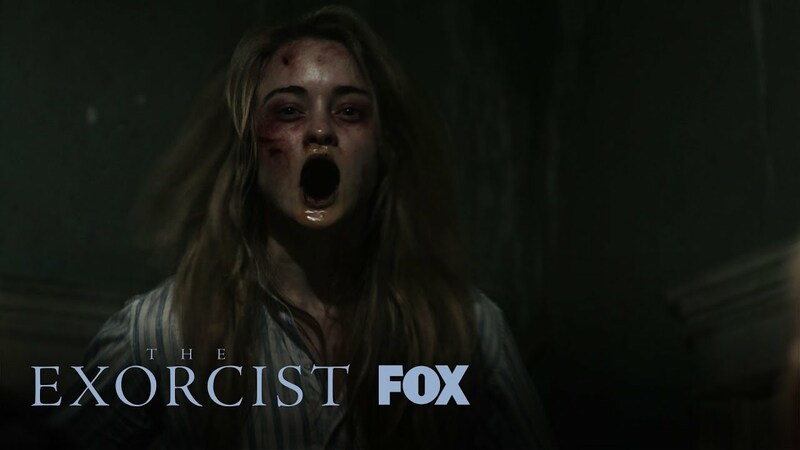 Carl was exorcised by a Lutheran minister, a psychic medium, an Indian medicine man, and finally by a trio of Catholic priests. While the trio finally succeeded in calming his seizures for a month, he had to be re-exorcised throughout the rest of his life to keep the evil phantasms like William Bührer at bay. 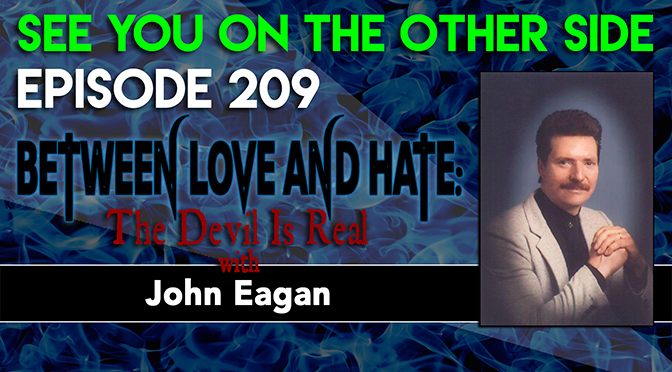 John Eagan was born a good Catholic boy in Brooklyn and grew up to be a special education teacher and bartender on the side. He said at the bar that he met a lot of lost souls who he would regularly pray for, since he believed no one else would. He’s still pretty religious (he even made a bust of Jesus out of wax candles that was featured in Ripley’s Believe it or Not!) and he thinks his prayers in the hope of saving those souls at the bar drew the attention of a demon. His wife and son first started experiencing Poltergeist-like activity, but the real kicker is when John saw the demon in his living room. An evil face appeared to him surrounded by blue flames and said “No more.” John thinks the threat was about his prayers, because the Devil wanted their souls for himself. 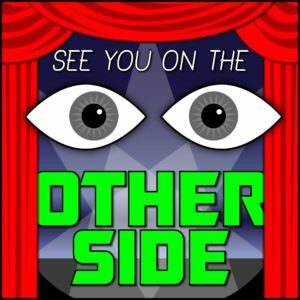 He tells the story in his own words for the episode. Pazuzu is the Mesopotamian demon of the southeast wind that brings famine. He has the body of a winged man, talons of an eagle, the head of a dog, and the tail of a scorpion. His enemy was Lamashtu, who was the demon of hurting women and babies in childbirth (much like Lillith), people would wear amulets with Pazuzu’s image on it to protect their young families. So even though he was thought he was an evil spirit, they would wear his image because he was so nasty he would scare away other evil spirits. So it’s a real legendary demon that William Peter Blatty used for his antagonist in The Exorcist. He had the title character, Father Merrin first meet the demon on an archaeological expedition in Iraq in the 1940s, which is on the site of the former Mesopotamia. Only later would he meet the demon again when it took over the poor soul of Regan Macneil to make her barf pea soup. 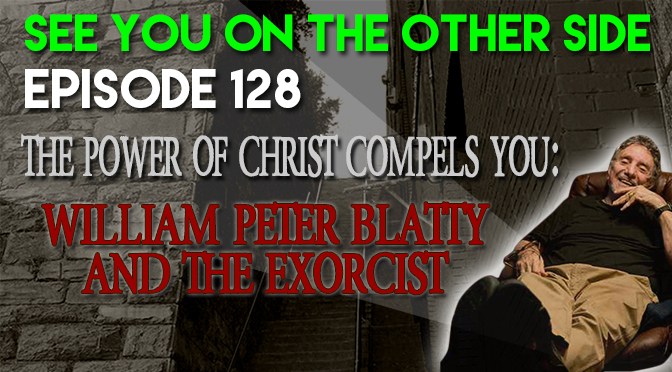 In our memorial episode about William Peter Blatty, we talk all about the real inspirations that he used to write his most famous book. Since demons are way more popular than we originally thought, who are some of our favorites? Maybe we can take on their legends in a future episode!